Some people born into this world are given names that reflect an aspect of their character and define them. 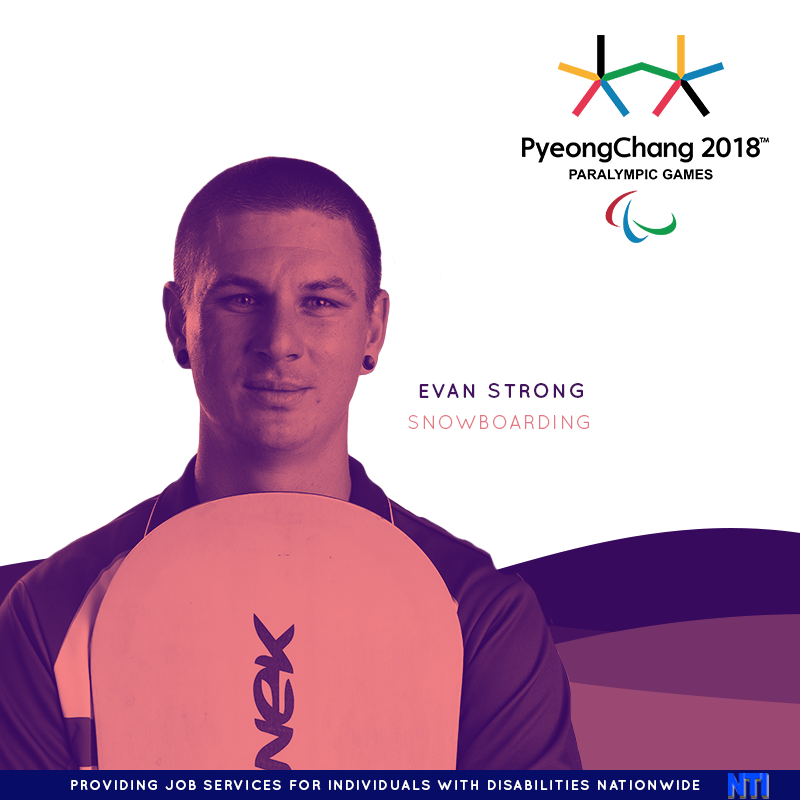 Such is the case with Paralympian Evan Strong, who, faced with life-altering circumstances was not only his own strength, but was also the strength his family depended on to get him through. An avid and talented skateboarder as a youth, Strong had his first sponsor at age 13, and was well on his way to a career as a professional skateboarder when just days before his 18th birthday he was in a head-on collision with a drunk driver. His left leg required amputation below the knee, but Strong, true to his name, never let that change his view of himself as a dedicated athlete. Although he still skateboards, following his accident Strong began snowboarding, and has come to dominate the sport. He has won every title in the sport of para-snowboarding. He also mountain bikes, rock climbs, surfs, and slack lines (similar to tight rope walking). In 2014 para-snowboarding was added to the Paralympics Games in large part due to the efforts of Strong’s campaigning for the sport. Strong, not surprisingly, brought home the gold for Team USA in para-snowboarding in 2014 and just missed a medal in Pyeongchang! Sometimes strength comes from the help of others. NTI has been helping individuals with disabilities and disabled Veterans through their job services for over 25 years. If you know of someone on SSI or SSDI that would like to come back into the workplace, have them register for our free services on our website here goo.gl/dsXU9M. Maybe we can make a difference in their lives too? Portrait of Evan Strong holding a snowboard with a pink/purple overlay. The background has wave like elements in 4 different shades of purple. In the top right is the logo for the winter Paralympics.